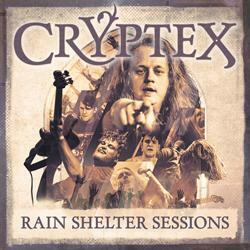 Cryptex - "Rain Shelter Sessions, Part 1-3"
The Rain Shelter Sessions feature the special mixture of rock and alternative with slight folk attitude and prog-art of the old kind that Cryptex have successfully made their trademark and unique feature. There is just no classifying this band. And the three tracks of the Rain Shelter Sessions do now prove the progressive rockers’ multifaceted nature once again.